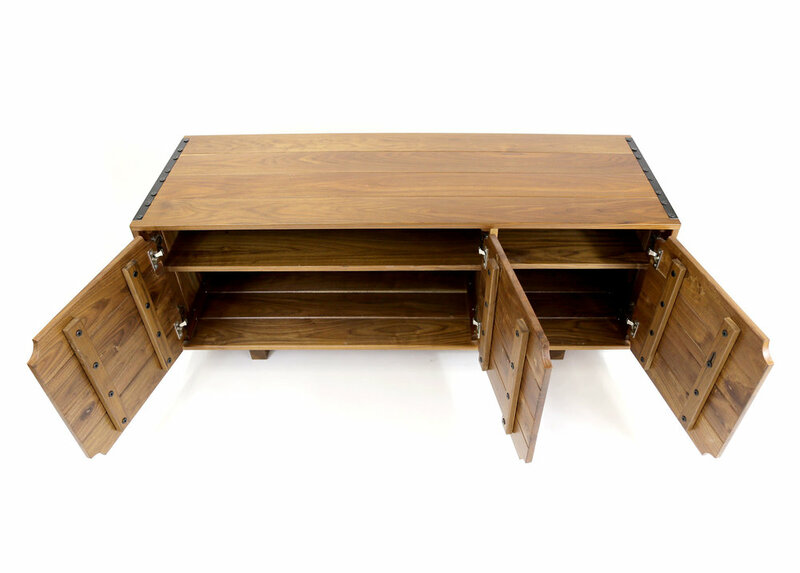 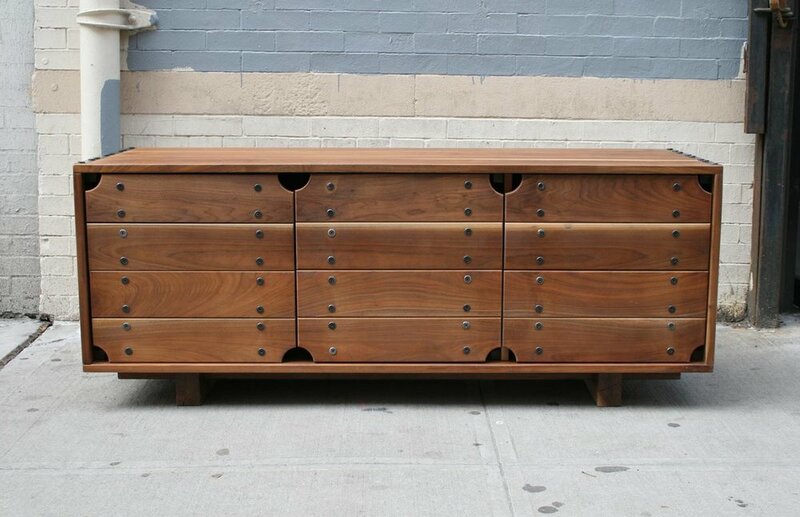 A rustic hardwood credenza that hearkens back to an earlier time. 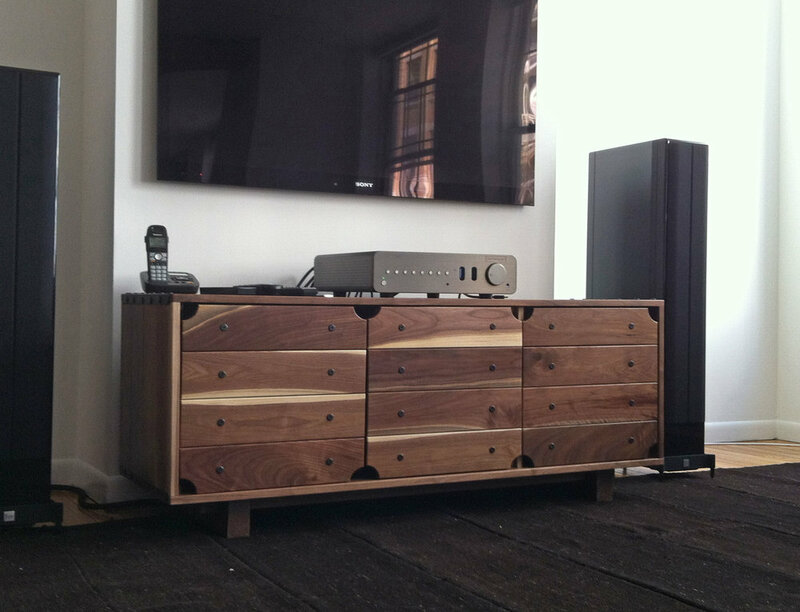 Solid hardwood battens (here, using black walnut) secured with steel brackets and bolts hold everything together. 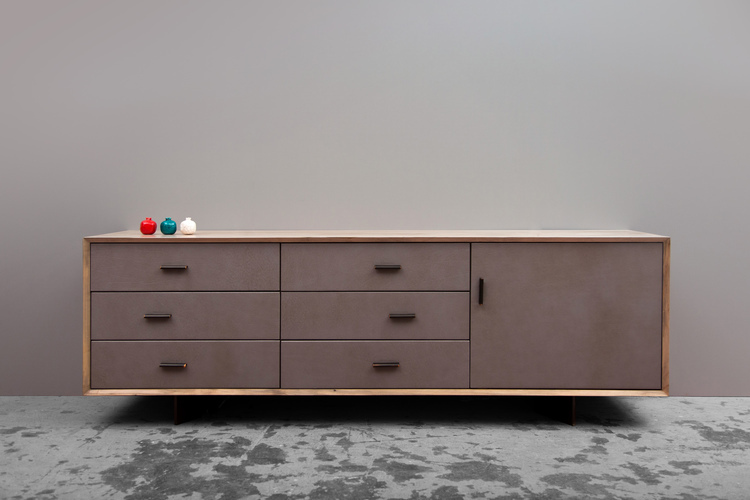 The boards are eased with a slight gap between that compliments the primitive look of the credenza.